Heribert Muensterer focuses his practice on preparing and prosecuting US and international patent applications, primarily in the chemical, pharmaceutical and related arts. He also has extensive experience with appeal proceedings before the Board of Patent Appeals and Interferences of the USPTO. His experience further includes freedom to operate and non-infringement studies and prior art analyses. Heribert started his career in the IP arena in 1983 in Germany where he practiced as German Patent Attorney and European Patent and Trademark Attorney until moving to the U.S. in 1999. During his time in Germany his activities included the drafting and prosecution of patent applications, procuring hundreds of German and European patents for his clients, mainly from the U.S. and Japan. He also represented clients in numerous opposition and appeal proceedings in the German Patent Office, the German Federal Patent Court and the European Patent Office. Upon his move to the U.S. Heribert joined a mid-size IP law firm in the DC metro area where he practiced U.S. patent law for more than 12 years before joining Abel IP. 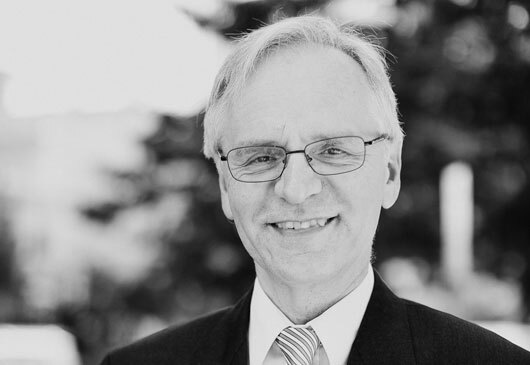 Heribert’s first-hand knowledge of and extensive experience with the patent systems in the U.S. and in Europe enables him to provide unique advice regarding the significant (and often not very well known) differences between these systems and to help clients to avoid pitfalls. He also has lectured on these differences both in the U.S. and in Germany on several occasions. H. Muensterer, “Fallstricke und andere Besonderheiten der US-Patentpraxis aus deutscher Sicht” (Pitfalls and other peculiarities of U.S. patent practice from a German perspective), VPP Rundbrief March 2009, pp. 6-13; also published in “Mitteilungen der deutschen Patentanwaelte”, Juli/August 2010, pp. 332-339. Copyright 2011–2019 - Abel Schillinger, LLP - All rights reserved.Principal office: Austin, Texas.